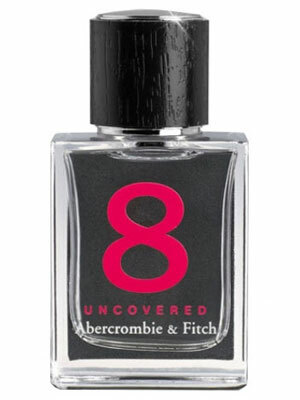 8 Uncovered by Abercrombie & Fitch - A fruity floral fragrance for women launched in 2012 as a limited edition flaker to the original Abercrombie & Fitch 8 Perfume from 2004. 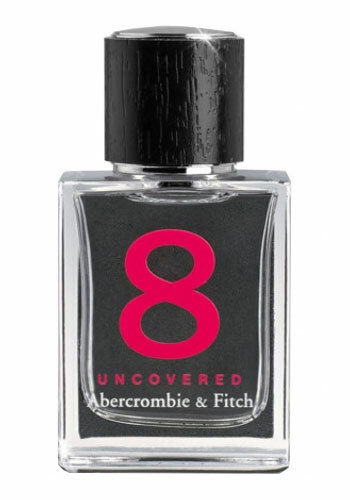 This feminine perfume includes notes of citrus, wild berries, vanilla orchid and vanilla, and is available as a fragrance spray and rollerball at A&F stores. 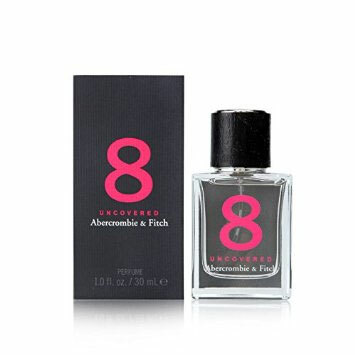 Package Design Clear square glass bottle with gray print and hot pink 8 with a black and silver cap.